Very deep, and beautifully written! Much like your other great works, this too has turned out to be a masterpiece. As always, very nicely written. Profound. Thanks. Read all pending posts. Love Hate is a very forceful poem. I agree with you that one needs to act instead of just lamenting about Domestic Violence. Please do give me the link as I too would like to read and see if that is made up or real. Congratulations on completing 3 years here. Hope to see you for a long time to come. Love to read your posts. 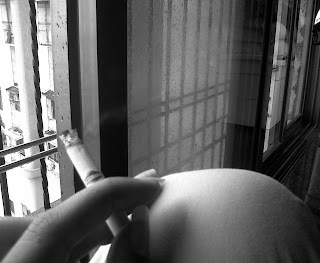 Why should one succumb to smoking even if one is depressed? I gave up smoking more than 30 years ago. PS : My id is in my profile for sending link.